WTN- Cardiovascular disease, especially coronary artery disease is the leading cause of death and it’s increasing in developing countries. In India Cardiovascular diseases are a major health problem; men and women suffer from them in almost equal numbers. It was estimated 29.8 million people suffered from CVD which is roughly 3% overall prevalence in Indian population as estimated in 2000. There is clearly lack of national epidemiological survey to determine the extend of cardiovascular disease prevalence and its impact on the loss of productive years of life and economical burden it causes to the individual family and the nation. The present age of superior technological innovations, medical research new methods have not only increased life expectancy but also created avenues of more functional, safe and non invasive treatment. Enhanced External Counterpulsation (known as EECP) is one of such innovations. Enhanced External Counterpulsation (EECP) is an another approved treatment option available to relieve chest pain and other cardiac symptoms, which impairs patients exercise tolerance. It increases the amount of blood returning to the heart, thereby forming new blood vessels and make a natural bypass around narrowed or blocked arteries. This new blood vessels can help in supplying more oxygen to the starved heart muscle. 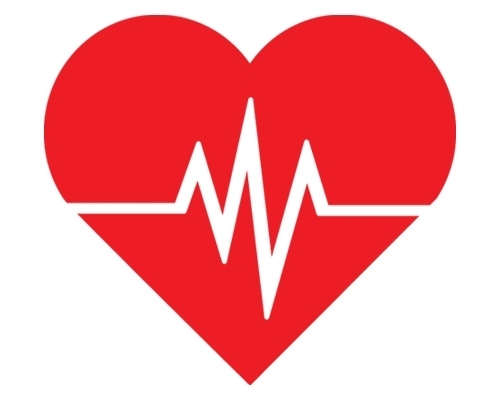 With more oxygen the cardiac symptoms are well controlled and heart function more efficiently. Dr. S Ramasamy is a renowned National and International expert in non-invasive cardiology treatment based on Enhanced External Counter pulsation (EECP). He is a Pioneer in bringing the completely Non Invasive, Safe, Clinically proven, evidence based Enhanced External Counter Pulsation (EECP) technology to India. EECP, is a noninvasive way of treating the same cardiac disease without the intervention. This treatment is able to significantly increase blood flow across the blocked artery, so the heart muscle can get more blood supply without you actually going for these invasive procedures, like bypass surgery and angioplasty. Why EECP is a good Treatment Choice for Heart Disease? A principal benefit of this treatment is that rather than surgically grafting one or more vessels, EECP allows your body to create new vessels without surgical intervention. It triggers the creation of thousands of tiny vessels that provide as much, if not greater, volume of blood to your heart. As noted by Ramasamy, while the main blood vessel that gets the graft or stent only contributes 30 to 40 percent of the blood supply going to your heart, the remaining majority is actually supplied by micro vessels, which number in the millions. When you do EECP, you not only increase the blood supply in the area that is blocked, but you're also increasing blood flow to the entire cardiac muscle. In other words, it's not specific to the ischemic area. Rather, it globally increases the blood supply across your heart muscle. "That's the great thing about EECP," Ramasamy says, "It's noninvasive. It can significantly increase the blood flow by using micro vessel circulation, profoundly sometimes much better than the main vessel is able to supply." Window To News search on EECP based on the interview The article titled “Enhanced external counterpulsation in ischemic heart disease and congestive heart failure (PMID: 15078841)” published in Journal CMAJ quotes that “there is evidence that patients with chronic stable angina treated with EECP have less angina, improved exercise tolerance, decreased nitrate use and improved quality of life”. “ Apart from the improved coronary perfusion and left ventricular systolic unloading that occurs during a treatment session, EECP is associated with favourable biochemical effects”. “Also, the shear forces induced by EECP may influence arteriogenesis and angiogenesis by up-regulating the production of growth factors such as vascular endothelial growth factor and platelet-derived growth factor”. EECP uses cuff-like devices on the upper and lower legs that increase the blood flow to the heart by timed squeezing with the heart cycle and rhythm. It may help the blood flow around blocked or partially blocked arteries by promoting growth of new vessels (collaterals) and rerouting blood through nearby branches. EECP is a treatment name trademarked by VasoMedical. EECP is conducted in a series of 35 one-hour sessions. Patients may complete up to 2 hours, as tolerated, per day to accommodate patients’ schedules and needs. The patient lies on a special treatment bed. Three electrocardiography (ECG) electrodes are placed on the patient’s chest and an oxygen sensor is placed on the patient’s finger. EECP cuffs are placed around the patient’s calves and thighs. The inflation and deflation occurs from the calves up to the thighs, matching to the rate and rhythm of the patient’s heartbeat. The inflation occurs while the coronary artery which supplies the heart muscle is filling lasting a second or less. Just before the heart is ready pump, all the cuffs deflate at the same time, reducing the heart effort to pump. Which type of cardiac patients EECP is beneficial ? "EECP has three important functions. It can be initially used as a primary treatment. If you have diabetes, hypertension or hypercholesterolemia, you can use it as a preventive tool and improve your endothelial function to secrete more nitric oxide and restore your endothelial function to normal. If you don't use it as a preventive tool and you have a coronary heart disease and chronic stable angina, EECP may also play a major role because, again, it can improve your collateral circulation and angiogenesis. It can improve your blood supply to the ischemic area, without manipulating your coronary artery by bypass and angioplasty. Third, if you did a bypass and angioplasty and it fails due to graft occlusion or stent restenosis, which are very common, then EECP is the only option. Finally, the end stage: If you did all these things, and your heart is still not able to recover from the shock due to myocardial infarction and you go into heart failure, EECP again plays a major role. I think EECP should be used more than what is currently being used in the U.S. and India. Window To News asked Dr.S.Ramasamy Is EECP a Substitute for Heart Surgery? The doctors consider this therapy as a comfortable, non-invasive and safe treatment therapy and have named it ‘Natural Bypass.’ The evidence are clearly there, that EECP therapy helps to boost the circulation of blood flow throughout the body and also stimulates the collateral flow of blood in heart. Besides natural bypass EECP also benefits other cardiac risk factors like diabetes, hypertension and high cholesterol level. “ while EECP has been shown to reduce chest pain and improve quality of life it is not a substitute for open heart bypass surgery, when the patients are unstable.” In stable patients EECP has a far greater role in management than bypass surgery and angioplasty. He also added “The patients selection is very important so you need to discuss with your physician about your option for suitability to EECP treatment and avoid undergoing bypass surgery and angioplasty. Disclaimer- The information as above is not intended to replace a one-on-one relationship with a doctor / qualified health care professional and is not intended as medical advice. It is intended as a sharing of knowledge and information from various sources.